“Broaden your horizons – go global with your aspirations” is an initiative dedicated to secondary schools student, for which trainers and volunteers from European Center for Youth Initiatives prepared special programmes focused on improving the awareness, understanding of interculturality and conditions and possibilities provided by developed international cooperation. Workshops and seminars are dedicated to young people, aged 16-20, who are about to choose their future (educational path, carrier, etc.) and to join the labour market. 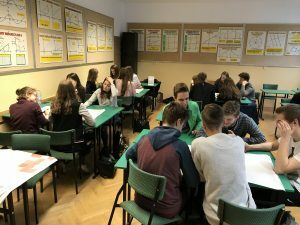 ECIM in cooperation with upper secondary schools has prepared a series of workshops dedicated to the personal and professional development of students who, thanks to their expanded awareness, are able to make decisions about the development of their careers in a responsible way. 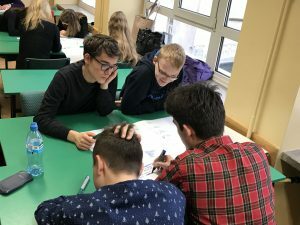 Till now it was possible to start cooperation with 12 schools, who are supporting the whole process, letting their students be more involved and preparing open space for discussion and implementation of different activities showing youngsters how to act in the modern and globalized world. Thanks to ECIM’s activities aimed at diagnosing the existing needs of students and schools as well as the labor market (entrepreneurs), it was also possible to organize, in cooperation with partners from other EU countries, several internship places where participants of trainings and workshops went on internships to our partners in Greece, Spain, Romania and also in Italy. These people carried out their internships with our partners from the non-governmental sector (Spain, Romania), as well as in the tourist market enterprises (Greece and Italy). As part of our projects, European tools for evaluation and recognition of learning outcomes, including Youthpass certificates, as well as documents such as Europass CV and Europass Passport-Language are used. 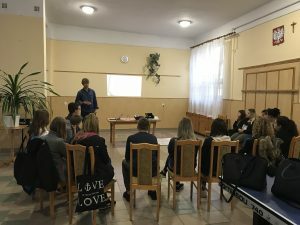 After 8 workshops, in which took part 160 participants form cities, small towns and villages, we are waiting for more to improve the Youth sector development process.